Calling all incoming FRESHMEN enrolled in one or more LLCs! 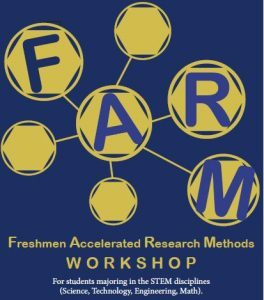 The School of Natural Sciences will be offering Freshmen Accelerated Research Workshops (FARM), a 3 day series workshop comprised of class and laboratory sessions that are intended to give you a head-start in your respective science disciplines. Interested? Click the link for more information!